Here it is folks! The one transformation that cannot be missed at MadLab. Young, it has been an absolute privilege to watch you change your life in the past 6+ months. You fully committed to being better and you made so many of those around you want to achieve greater things. Thanks for bringing much joy, enthusiasm, and positivity in to the MadLab community. Keep on doing what you're doing and inspiring so many of us! Young’s transformation in the last year is simply impossible not to notice. He went from being a strong athlete, albeit somewhat pudgy, who showed up to train hungover half the time, and turned into to a lean, driven, seriously impressive athlete in the last eight months. 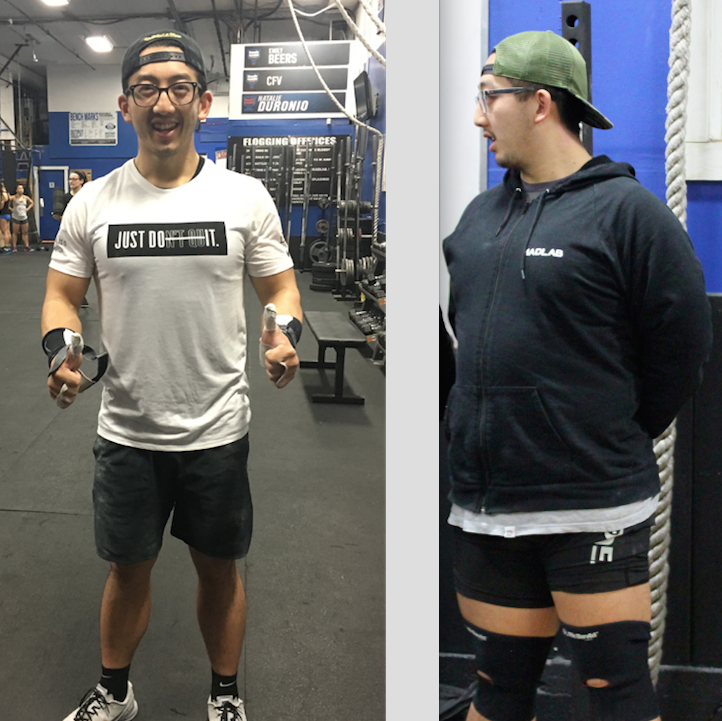 He started training with us in July 2015 and saw a ton of gains, but was never really all in. Last year, he decided to make a change, and he’s proof that if you truly commit to something 100 percent, results WILL happen. The impetus behind the decision to change was for emotional reasons, he explained. “I was in a funk personally…down on myself probably more than I care to admit. I needed to find a way to refocus myself, and since I was doing well professionally, fitness became an obvious alternative to apply myself more aggressively,” Young said. And in typical selfless and generous Young fashion, he embarked on his new commitment to fitness in a way that rubbed off and helped all those around him, as well, specifically the Development Program (DP) crew. “Our group needed some leadership, and I took it on myself to show our crew what was ultimately possible with dedication and most importantly, results. While none of us are elite, the improvements amongst out group have been very clear,” he said. It’s very clear that Young inspires the rest of the crew to keep up with his passion and commitment to constantly better themselves, both in the gym and elsewhere. Numbers wise, Young has lost 35 lb. in the last eight months, going from 225 lb. to 190 lb. His biggest dietary change, he said, was just cutting out alcohol. “Binge drinking twice on a weekend became a thing of the past. I rarely show up to DP hungover these days. This was not the case last year,” he said. That being said, he also cut out starchy carbs, like bread and pasta, sugar, as well as other foods like cheese and pork. “I'm not super strict, but I avoid things like pizza because it’s just quite clear it’s not good for you,” he said. DP coach Tom explained the reason Young has been successful comes down entirely to his commitment level. "The man decided he wanted to make a change. A change for the better and there was little anyone was going to say or do to prevent him from achieving what he really wanted. Being as driven and resilient as he is, the man will accomplish pretty much anything he wants," Tom said. Though Young does have some specific numbers goals he’d like to achieve fitness-wise, more than anything training for Young isn’t about the numbers; it’s more about the satisfaction of committing to the process, about how it improves the rest of his life, and about having fun with friends. "I just want to kick Poker, Scott and Natalie’s asses when we go head-to-head in workouts," he joked.